For many cottage owners, the arrival of fall is time to think about closing up the cottage to keep it safe and secure over the winter months. You don’t want any rude surprises when you return in the spring such as rodents taking up residence or water pipes that have burst. 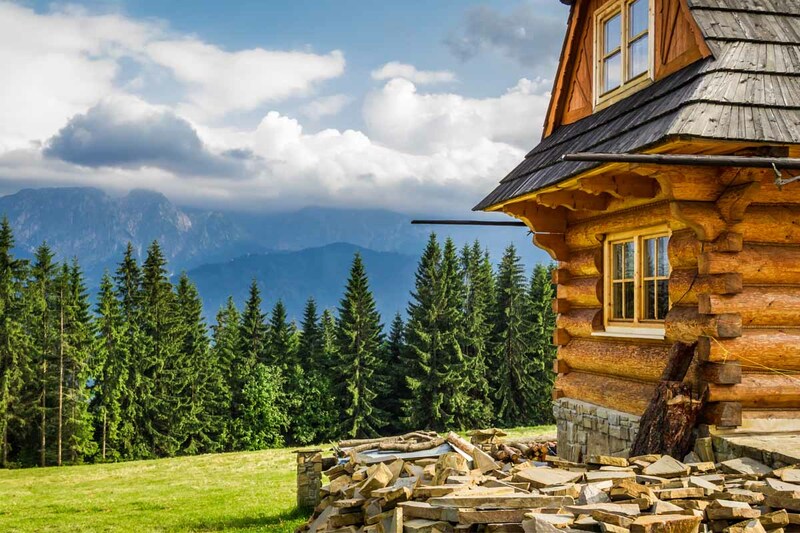 Here’s a helpful checklist for winterizing your summer retreat to avoid such unpleasant findings. You may want to print this list and leave a copy at your cottage for reference so you don’t miss a step. Any motors need to be removed from your boat(s) and stored separately. You can drain the gas or add a fuel stabilizer to the tanks. Apply a coat of oil to cover anything that may rust over. Store boat motors in a dry, weatherproof place. Store small boats, canoes, kayaks and paddleboards on sawhorses or on a rack away from public view. Chain them together with a solid lock and cover everything with a tarp. Dismantle the dock and remove it from the water. Paint the crib (the support structures that hold the dock to the floor of the lake) with rust-proof paint. Store your dock so it can easily be reassembled in the spring. Run the lawnmower, chainsaw and weed trimmer to burn off the fuel. Clean the equipment, and inspect and clean the air filters. Spray all moving parts with WD-40 or Quick Lube. Store everything in a locked shed. Take an inventory of all your tools in the shed. Make note of which ones need to be replaced for the next season. Clean your barbecue and disconnect it from the propane tank. Store both in a locked shed. Have your septic system and outhouse pumped if they need it. Otherwise, add some approved “good” bacteria like Septic Smart to your septic system and outhouse to help break down the waste over the winter. Sweep out the outhouse and remove any toilet paper that mice can use for nests. Board up any screen windows to prevent break-ins. Inspect the roof for damaged shingles and replace them if necessary. Clean out your eavestroughs to allow melting snow to drain away in the spring. Trim back overhanging branches that could drop extra snow and ice on your roof. If your cottage is in a heavy snowfall area, hire a service to remove snow from the roof after a storm. The weight of fresh snow could cause the roof to cave in. Remove any garbage or stored items from under the cabin that may offer shelter to small wildlife. Inspect the building outside, inside and underneath to make sure there are no small openings for animals to enter. Stuff steel wool into finger-width holes (mice can’t chew through steel wool), seal larger openings with wood or other solid material. Spread mothballs everywhere, especially around support posts. Place a wooden cover on the chimney. Tightly close your fireplace damper. Clean out the belly of the wood stove and close the damper vent tight. Inspect the chimney for rust, tar build-up, and loose strapping on the outside and repair it as required. Repair or replace the gasket/seal if required. It goes without saying that all food, even canned goods, must be removed from the cabin. Disinfect and thoroughly wipe out the fridge and freezer. Clean away any crumbs and food spillage from the cupboards, countertops and tabletop. Place chopsticks between the door and the fridge, and cover/door of the freezer to allow air to flow and avoid mildew buildup. Place an open box of baking soda inside your fridge and freezer to control odours. Cover bed mattresses and fabric chairs or sofas with plastic sheets. Place fabric softener sheets in dresser drawers, on furniture and in closets. If your cottage is not winterized, you need to take steps to prevent your water line from freezing during the winter. Frozen pipes can burst and cause extensive damage. Drain the pipes: pour non-toxic anti-freeze into the water line and all drains (sink, bath, shower, washer) and toilet as you finish the last flush. Also add some to the toilet tank. Wrap the pipes at key junctures to protect them from the cold. Check your plumbing and faucets for wear-and-tear, and replace parts if necessary. Bring a water sample to the lab to ensure its quality. Turn off the electricity for the water pump and water heater. Close the cold-water intake valve to the hot water tank. Attach a hose to the water heater drain valve. Run the hose outside or into a bucket. Open a hot water tap. Open the drain valve and let the water flow out of the tank. Remove the hose and place a container under the valve to catch water drips. When the water stops dripping, close the drain valve. Turn off the hot water tap. Open all taps inside and outside to use up the existing pressure in the line. If you choose to shut off electricity to your cottage, turn off all major appliances, your water heater, and electrical room heaters before turning off the main switch. If you leave the electricity on for security alarms or lighting, turn off the power supply to appliances at your electrical panel. Take photos of everything. Should there be a fire, weather damage or theft, you will find them extremely helpful in making a seasonal property insurance claim. Do a final inspection of your property outside. Check and lock all the outbuildings. Take the garbage to the nuisance grounds. Spending the time to close the cottage at the end of the season will pay off next spring when you can’t wait to open the doors and windows and make the most of your summer. Once you know it’s done properly, it is time to relax and head home.